One of the grestest things about cycling is surely its inclusivity? There’s no better example than another entrant from Saturday’s race up Mt Buller. This guy. On that bike. 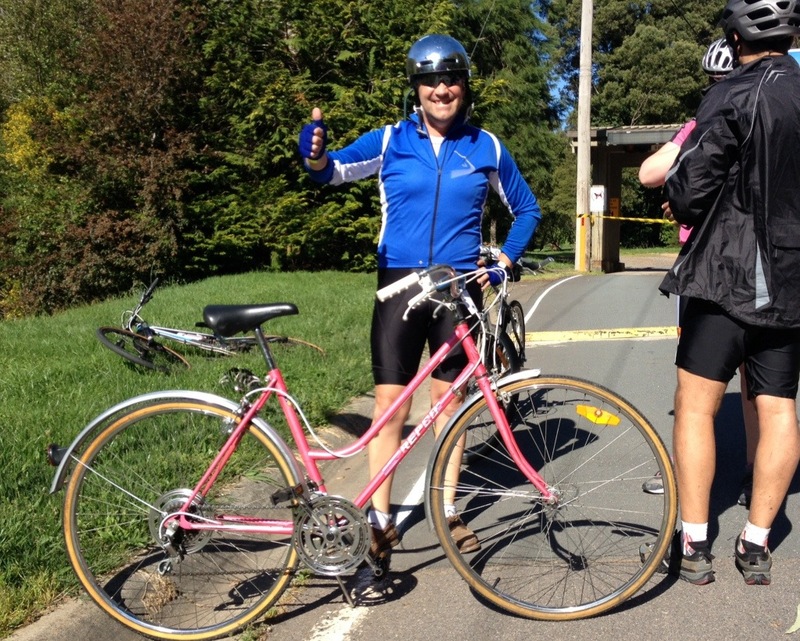 An old reconditioned pink Repco ladies’ step through, complete with dodgy tyres and mud guards. He rode the entire course with a couple of friends in about two and a half hours, making it to the village just on sunset. Technically they were outside the time limit, but the organisers simply didn’t the have heart to pull them off the road. Chapeau! You may notice he has a rather unusual shiny helmet. This is not a GPM-Data 3 hand-me-down. Rather it’s an ingenious way to scare off magpies. And it really seems to work. They still swoop down seeking human flesh, but at the last moment see their own reflection – and get frightened away. Steve on the Repco is a classic. The day after the race he was on Buller again on the Repco. 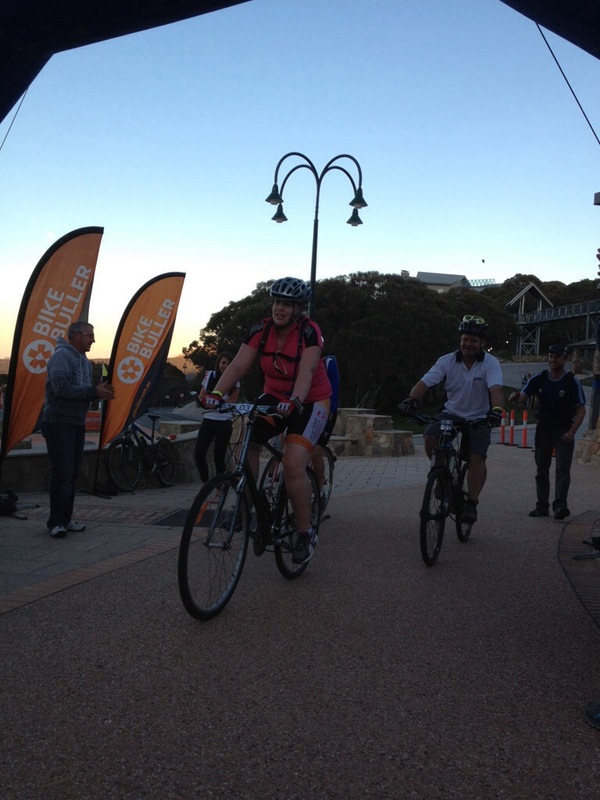 He punched out a highly respectable 1 hour 29 minutes, adjusting his riding style so his knees didn’t hit the handlebars!